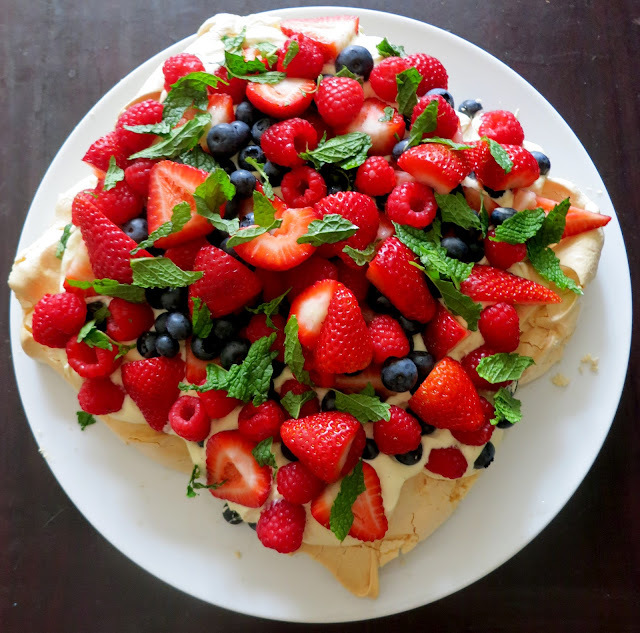 There's nothing more decadently delicious than a great Pavlova. 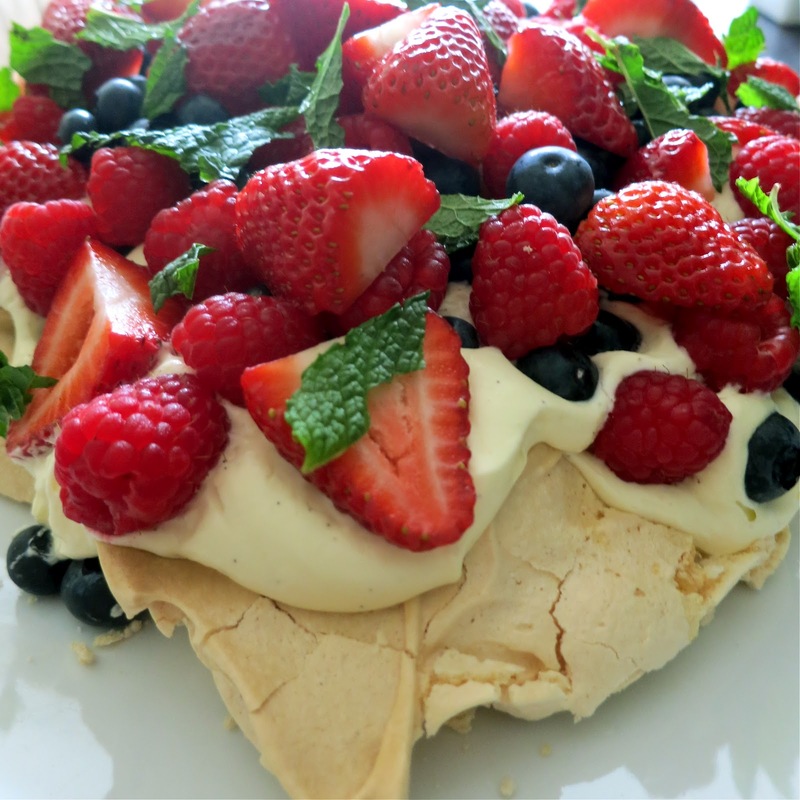 A glossy, crisp-shelled meringue base with a perfectly chewy middle topped with a generous dollop of whipped cream and a tumble of juicy berries. Before we get started, let me introduce you to my very awesome little kitchen helper, Matryoshka (and the mini Matryoshkas not pictured!). Using cups as measurements seems so much easier than fiddling about with scales, but I've always been a little vague about exactly what a cup is...is it a mug or a tea cup or somewhere in the middle...? 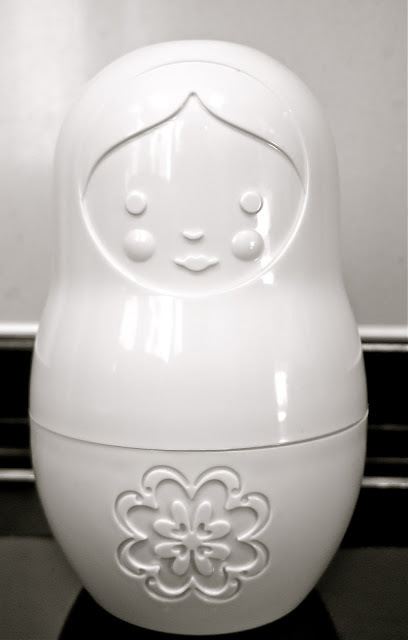 All dilemmas solved by these super cute Russian doll measuring cups which I picked up on a trip to the US earlier this year. You can get yours online from Amazon US US$10.33 or Amazon UK £8.59. So now for the Pav creation... First things first, make sure that all your bowls and whisks are squeaky clean. Even a little speck of grease can spell meringue disaster - a sneaky little tip to make sure everything's grease free is to cut a lemon in half and rub your cooking kit with it before you start. Next up, get your oven nice and toasty by preheating it to 150C/300F. Now for your eggs. Separate your whites (if you're not sure how, I'll let Delia explain) and put them in your super clean bowl. Grab your whisk and get whipping those whites into soft peaks - an electric whisk will make life much easier here, but I go old school and do it by hand (just think of all the calories you'll burn that you can then replenish with an extra large slice of Pavlova...). Once you get foamy white peaks, it's time to add your sugar. 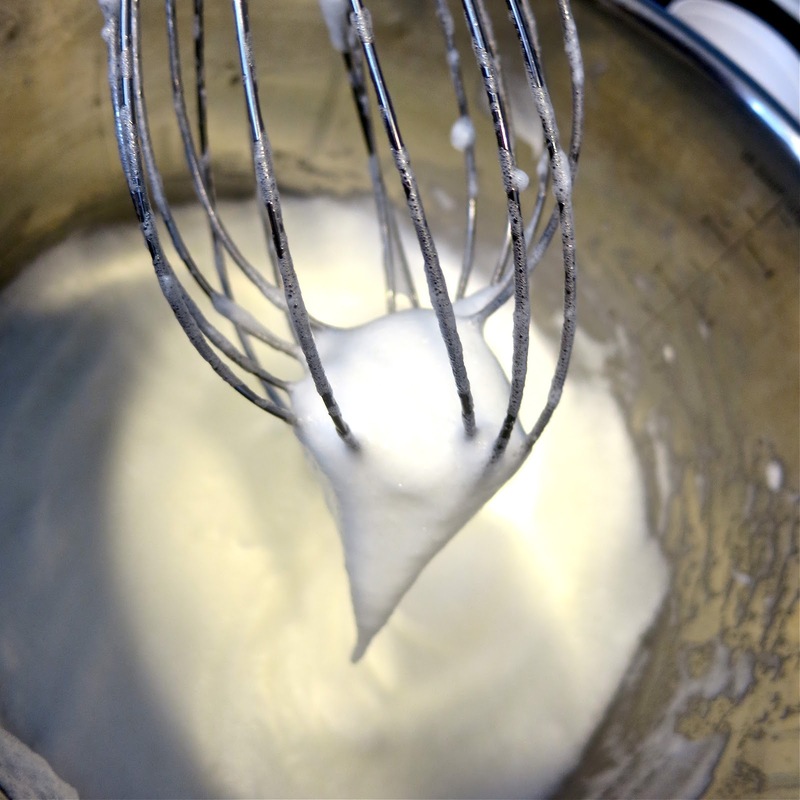 If you're using an electric whisk keep it running and slowly add the sugar. If you're hand whisking grab a helper and get them to gradually add the sugar while you whisk away (or better still get them to take over whisking duties while you add the sugar...). Add a pinch of salt and then keep on whisking. Line a baking tray with a sheet of baking paper and dot a dab of the meringue mixture under each corner to glue your paper down. 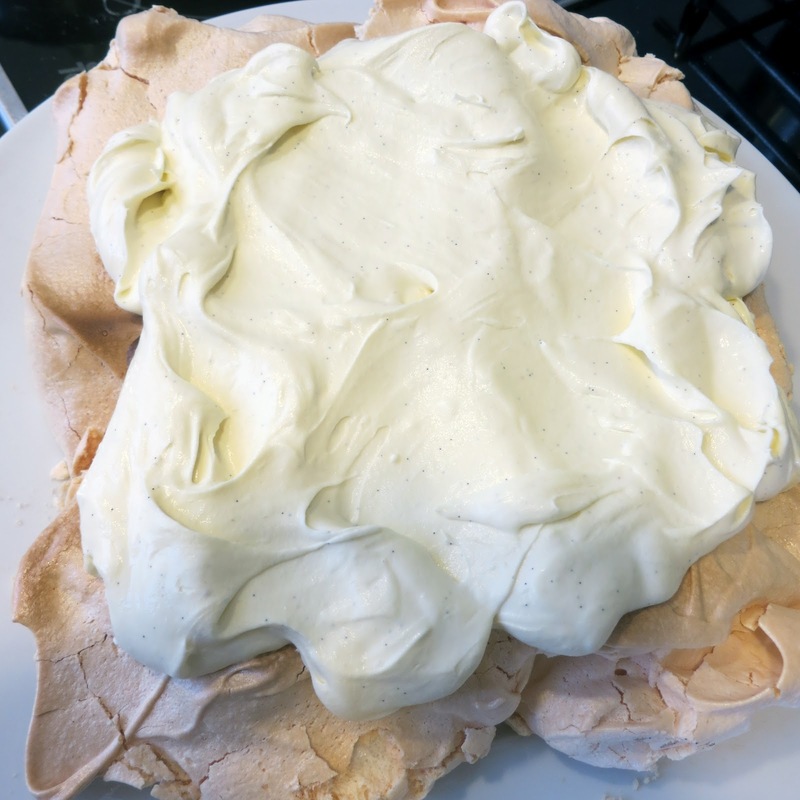 Now pile all that gorgeous, glossy meringue mix onto the tray - no need to be precise, just make it roughly the size that you want your finished base to be. Time to pop the lot into the oven and let it bake away for an hour or so until its crisp on the outside but deliciously squidgy in the middle. While it cooks wash and chop your fruit. 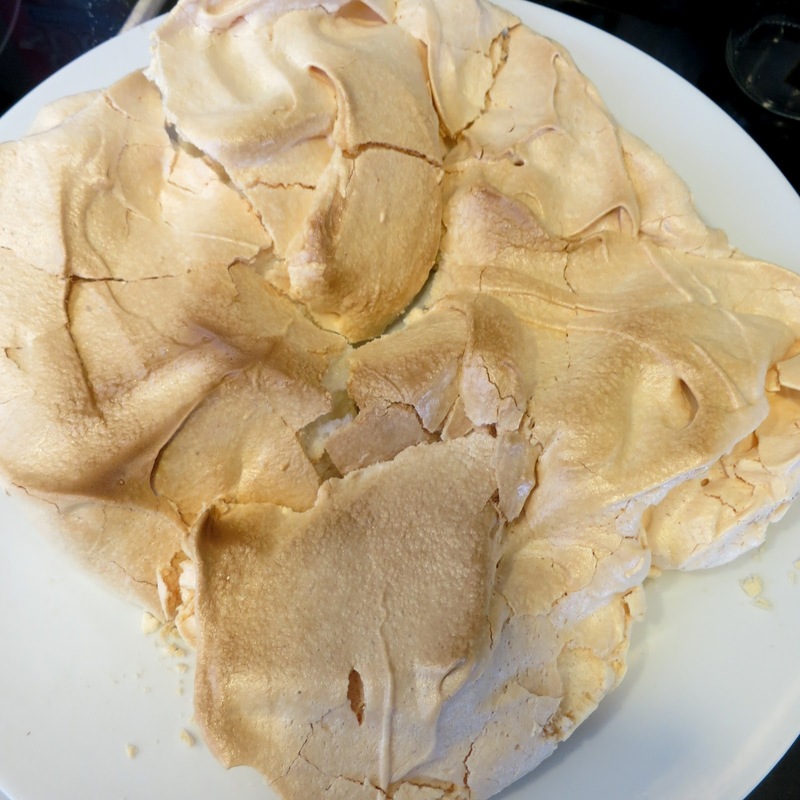 When your meringue's cooked, whip it out of the oven and let it cool. Now it's time for a bit more whisking (sorry about that!). In a new bowl whisk up the double cream, the icing sugar and the vanilla seeds scraped from the inside of the pod until the cream forms soft peaks. 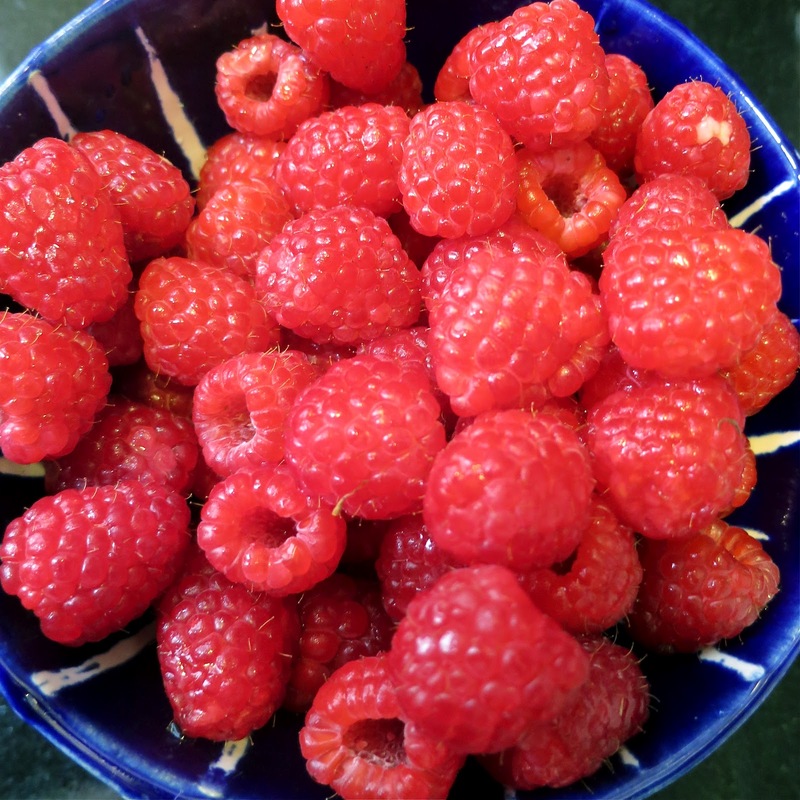 ... cover the whole lot with your fruit. To finish off, rip up the mint leaves and sprinkle them all over the top. Now sit back and take a moment to marvel at your beautiful creation because in about five minutes flat it'll have been devoured...YUM! I have been sent this link by my boyfriend. I think perhaps its a hint to make him this over the weekend! Looks like a winner girls. My meringues 'leak' why is this? I've done some extensive Googling and it seems that 'leaking' meringues happen when the sugar isn't incorporated into the egg whites properly. Apparently this could be just because the sugar needs to be beaten into the mixture more (try rubbing a bit of mixture between your finger and thumb, if you can feel grains of sugar the mixture needs more beating) or it could be because your eggs are too small and there's not enough white for the sugar to dissolve properly. I've also read that making sure that you add the sugar slowly is important here. 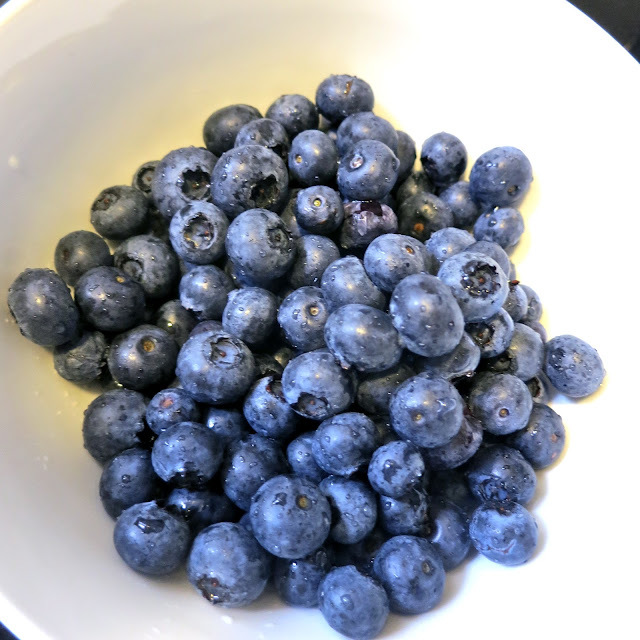 I always add sugar about a tablespoon at a time at the whisking stage - hope that's helpful!